Powered by Briggs & Stratton Vanguard, Recoil Start. 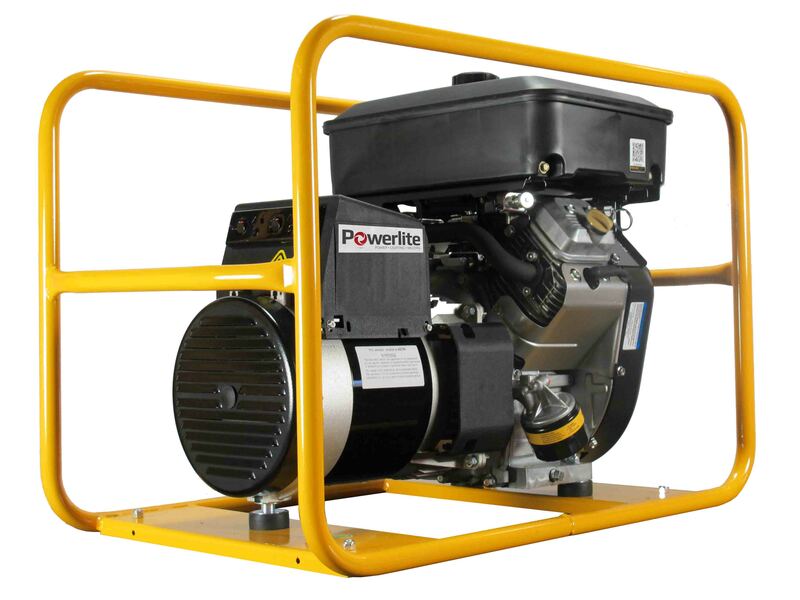 8,000W Petrol Powerlite Generator, powered by Briggs & Stratton Vanguard with recoil start. 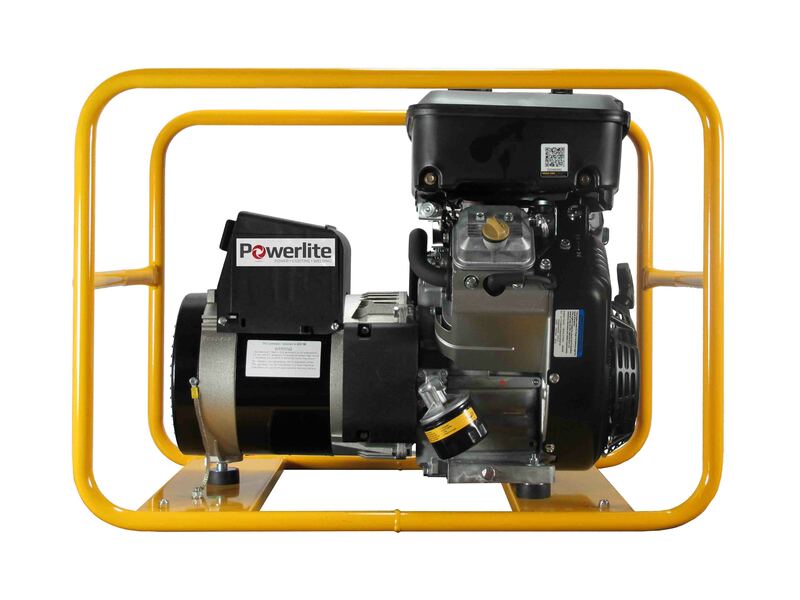 Ideally used for portable electric tools, 200 Amp welder (on general cycle 2.5mm rods), air compressor (with engine motor up to 3kW), heaters, lights and appliances, provided that the total power consumption at any one time is less than 8,000W. Options include: Wheels and handle roll frame, earth stake kit, Work Site / Hire Spec protection module … see options for more details. 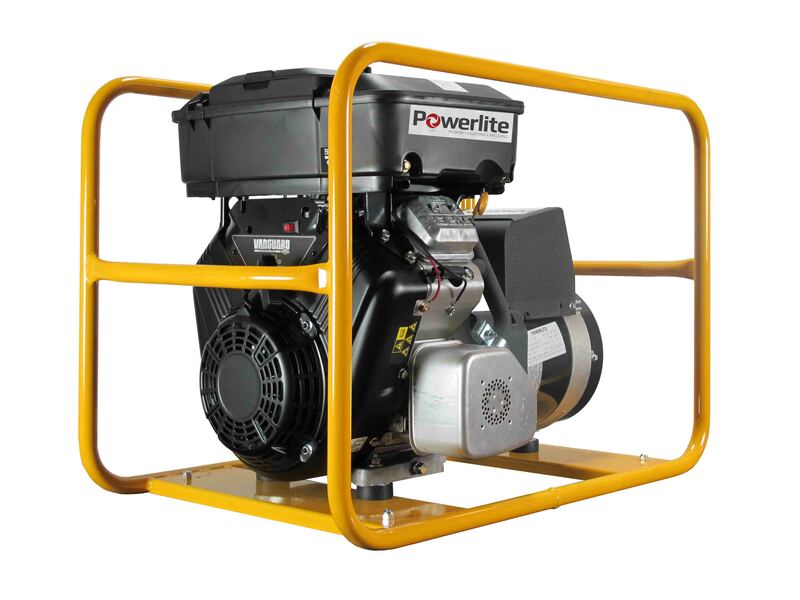 8,000W Petrol Powerlite Generator, powered by Briggs & Stratton, Vanguard with electric & recoil start and battery.